You know that kid on the playground at recess who always had to start some sort of fight about whose turn it was at bat for kickball or whose chalk art drawings were the absolute best? Well, that kid grew up, ran around the 6 with his woes, did some time as Jimmy on Degrassi, and is now a world-famous rapper. The history of Drake's rap beefs is rather extensive, because Aubrey Graham always seems to be involved in some sort of verbal altercation via diss track about some other world famous rapper. With so much drama in so many places and in so many songs, it's hard to keep track of all of Drake's conflicts. But I understand your need to know, because I have the same (probably unhealthy) need. So here we go. Drake may have started from the bottom, but he's made it pretty clear that now he's on top and willing to play king of the hill with anyone else who is also interested in the prime real estate of hip hop's gilded throne. For some reason, other rappers love to engage him in rap battle combat, which is entertaining for us but usually a bad idea for them. Drake had his first dabble in bashing via lyrics in Rick Ross's single, "Stay Schemin," wherein he retaliated against some slander from the Common's October 2011 single "Sweet." In "Sweet," Common rapped, "Singing all around me man, la la la. You ain’t motherf*cking Frank Sinatra," which was confirmed as a diss at Drake on Sway In The Morning. In April 2012, "Stay Schemin" had Drake striking back with, "It’s feeling like rap changed, it was a time it was rugged. Back when if a n*gga reached, it was for the weapon. Nowadays, n*ggas reach just to sell their record." Common then retaliated by remixing "Stay Schemin" and calling Drake "Canada dry." Pusha T dropped two songs, “Don’t F*ck with Me” (2011) and "Exodus 23:1" (2012), which both had some definite anti-Drake vibes. The former was a freestyle over Drake's song "Dreams Money Can Buy," and the latter had pointed lyrics like, "You signed to one n*gga that signed to another n*gga. That's signed to three n*ggas, now that's bad luck." In this case, Drake clapped back at a May 2012 concert in Washington D.C, according to IBT. There, he said "If you was doing 16s when I was 16, and your sh*t still flopped, and you switched teams, don’t talk to me, my n*gga." 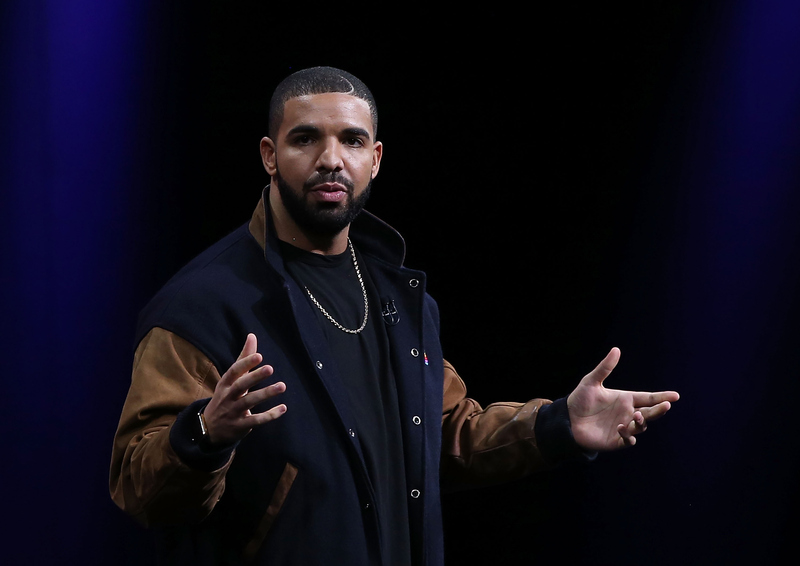 But, in April 2015, Drake had the self-preservation to end the fight with a bonus song, "How About Now," on his album, If You're Reading This It's Too Late, which talks about his life before rapper stardom, "I had no money left from acting. I was focused on the music. I used to always try and burn you CDs of my new sh*t. You’d be like ‘Who’s this?’ I’d be like ‘Me, girl.' You’d be like ‘Oh word, true sh*t?’ Then ask if we could listen to Ludacris." "It was a lack of communication paired with natural competitiveness. When something monumental is happening in front of me [like Watch The Throne], and everyone's paying attention to that, you gotta say, 'I'm still here.' But those two are gods to me." In an October 2014 interview with Vibe , Tyga (who happens to also be on Drake's Young Money label) admitted he didn't "like Drake as a person" and views the rapper as "fake." Drake waited until If You're Reading This It's Too Late dropped, and then he included his diss lines to Tyga in the song "6pm in New York" when he said "I heard a little little homie talking reckless in Vibe. That’s quite a platform you chose, you should’ve kept it inside. Oh, you tried. It’s so childish, calling my name on the world stage. You need to act your age and not your girl’s age." Everyone took this as a reference to Kylie Jenner, Tyga's then 17-year-old and alleged girlfriend. Meek and Drake have been non-stop feuding about whether or not Drake has a ghost-writer since summer 2015, when Mill first tweeted, "Stop comparing Drake to me too.... He don't write his own raps! That's why he ain't tweet my album because we found out!" This simple tweet resulted in two diss tracks from Drake. The first was "Charged Up," in which he said, "Done doing favors for people ‘cause it ain't like I need the money I make off a feature. I see you n*ggas having trouble going gold, turning into some so and sos that no one knows." The second one was "Back to Back," in which he referenced Meek's girlfriend Nicki Minaj and her Pinkprint tour, "Is that a world tour or your girl’s tour? I know that you gotta be a thug for her. This ain’t what she meant when she told you to open up more." Meek Mill responded with a freestyle called "Wanna Know," which Drake found hilarious. On Drake's subsequent collaboration with Future, What A Time To Be Alive, the two went after Meek many times. My personal favorite is "The pen is working if you n*ggas need some ghost lines. I thought you wanted yours like I want mine." Meek has remained silent. Drake's most recent jab to a rapper is the single he dropped the weekend of June 4, "4pm in Calabasas." He made multiple references to Diddy's catchphrases, like "take that, take that" and “can’t nobody hold me down." The whole song could be a very delayed response to a mysterious altercation at a club in Miami in 2014, in which Diddy allegedly smacked Drake a few times and allegedly claimed the Canadian rapper had stolen his song "0 to 100." Waiting two years for a diss track is some dedication to your anger, man. I think what we can all learn from this is that, if any one of us becomes a famous rapper, we should never, ever, ever diss Drake. At least, not unless the disser wants to have fans in clubs dancing and singing to the horrible things Drizzy writes about them in his next rap.